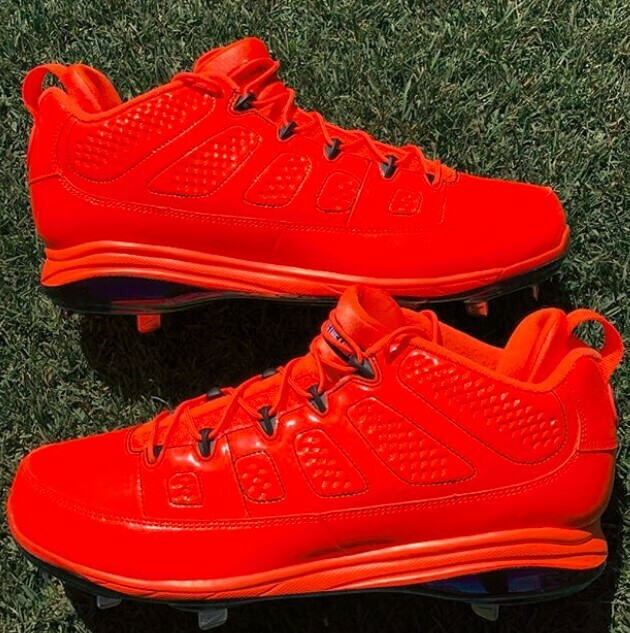 Manny Machado gets the star treatment with Jordan. He gets whatever he wants, even if it means slicing the top off an iconic silhouette like the Jordan 9. Manny must have asked for a low version of the 9s, and that’s exactly what he got. The modification cut into some of the design, but with the way Manny drapes his pants, the camera won’t even know the difference. 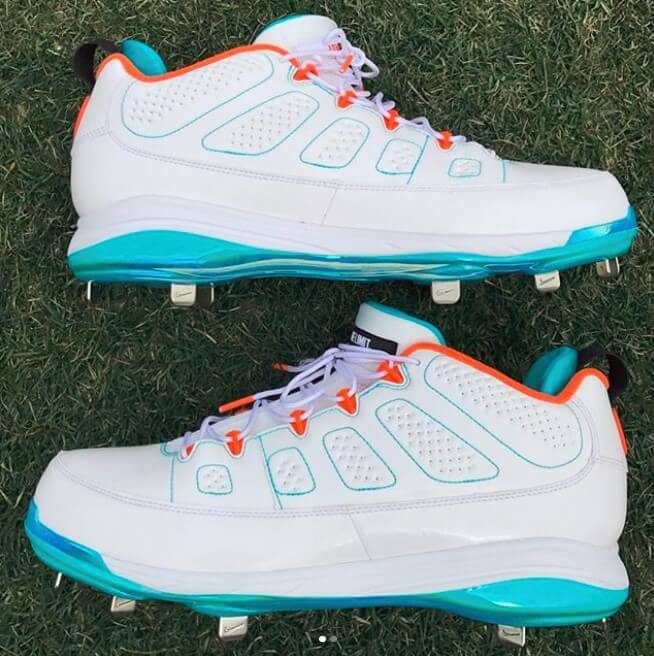 Jordan 9 cleats are available, even the ones that Manny wore (pictured) in Spring Training. Shop at the link. 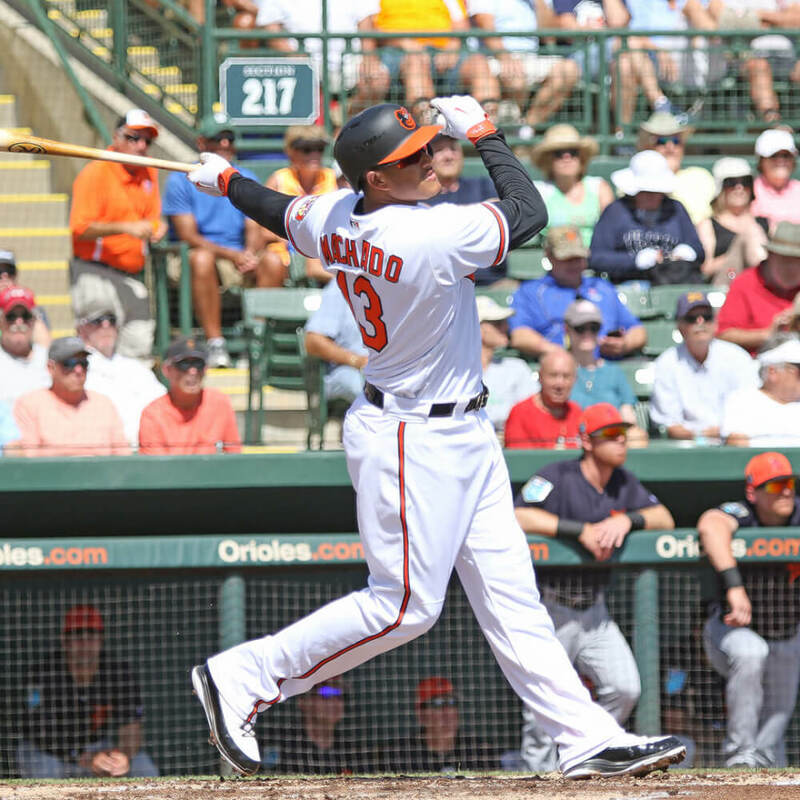 Categories: Gear, Cleats, Baltimore Orioles, Third Base, Manny Machado.